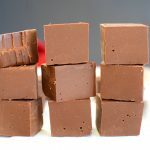 NO FAIL Vegan Chocolate Fudge that’s only 3 ingredients and does NOT require a candy thermometer! 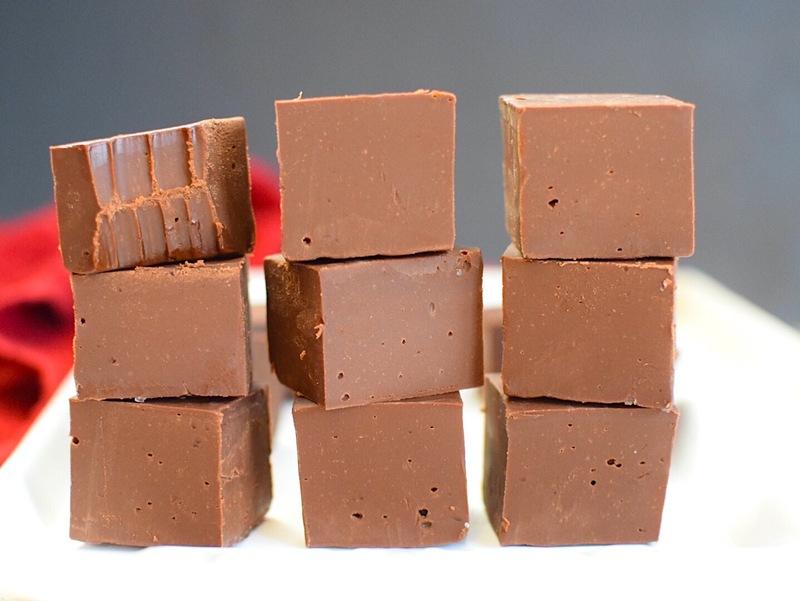 This chocolate fudge is everything you remember fudge to be: Chocolatey, smooth, rich & creamy! NO gluten, dairy, corn, soy or nuts!! 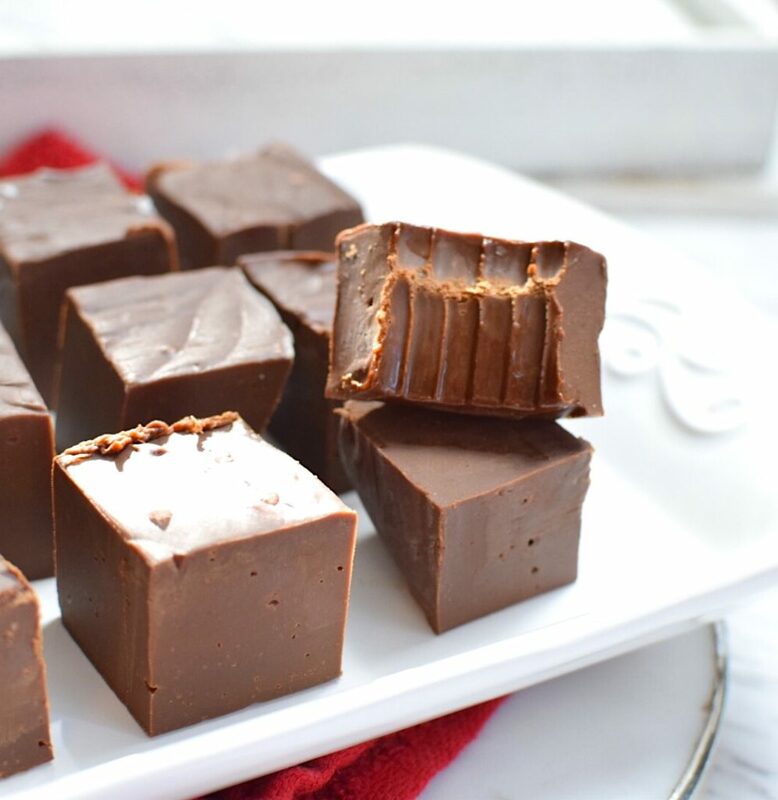 Not only is this fudge oh SO delicious, but it’s also free of gluten, dairy, corn, soy and nuts, making it the perfect dessert to bring to a birthday, holiday or office party! No need to worry about someone feeling left out because they can’t eat your yummy dessert. I should also mention that this is the same exact recipe I make for the movie studios here in Los Angeles. What can I say…it’s just that good!! Sweetened Condensed Coconut milk is also excellent for making ice cream, and we have a couple delicious VEGAN recipes that call for it that you might also enjoy, like our Vegan Espresso Chip Ice Cream and our Vegan Peanut Butter Chocolate Chip Ice Cream. The best thing about this recipe is how unbelievably easy it is to make. 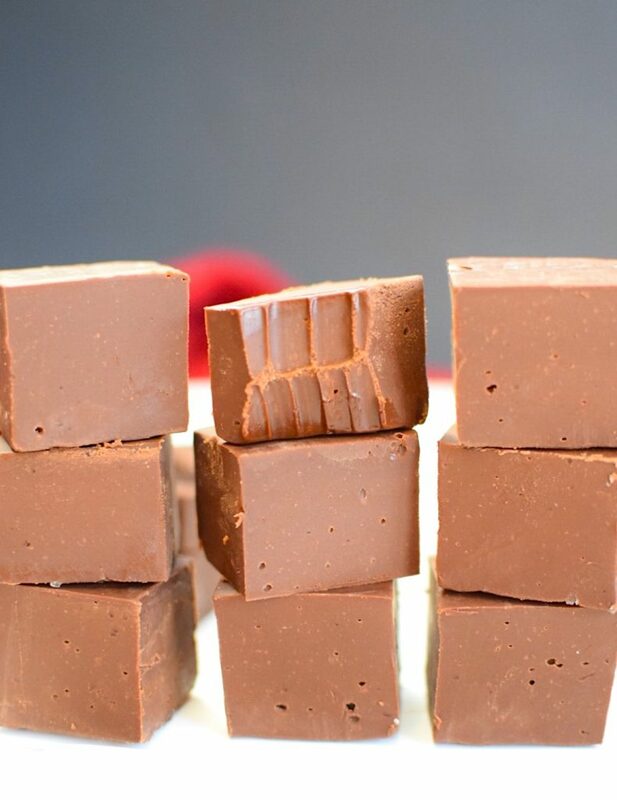 Seriously, you can do this even if you feel you have no prior candy making experience! 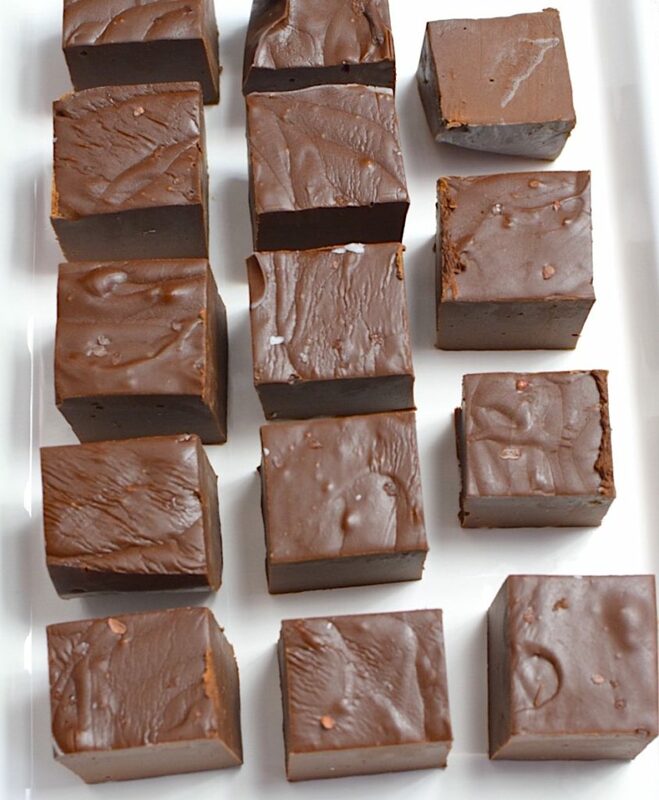 Simply melt everything together either in the microwave at 30 second intervals (or using a double boiler if you’re a little more advanced), place it in the freezer to set, cut into squares and E N J O Y! Place your condensed coconut milk, chocolate chips, coconut oil and a pinch of sea salt in your large bowl and over low heat stir constantly until all the ingredients are melted together. Using an oven mitt, pour batter into prepared loaf pan, using a spatula to scrape down the bowl. 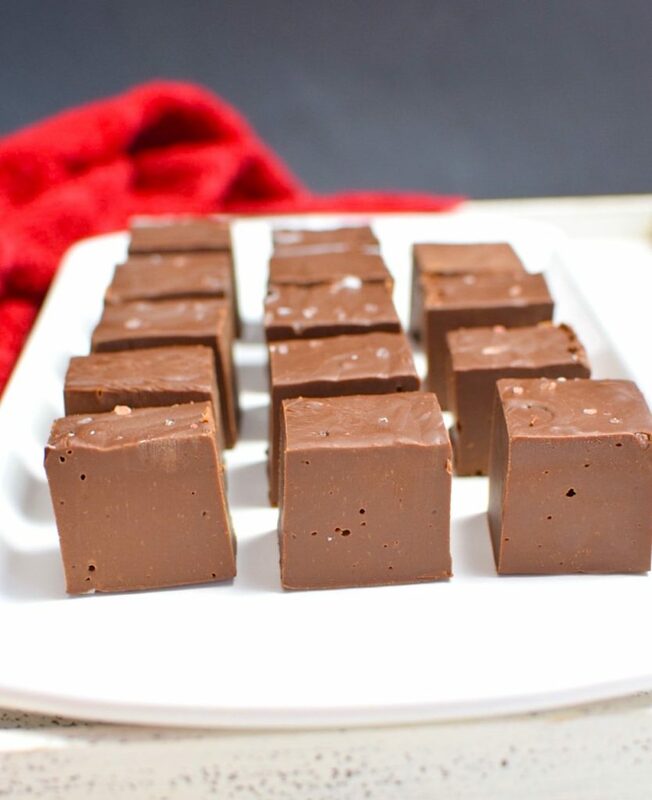 Add a final dusting of sea salt to the top of fudge before placing in the freezer to set. Let this set for at least 1 hour before cutting. Store in an airtight container in the fridge for up to 2 - 3 weeks (if it lasts that long!) or in the freezer for up to 2 months. **I like Enjoy Life Brand Vegan Chocolate Chips. ***for smaller pieces use an 8x8 baking dish. ****Option to melt in a microwave by placing all ingredients into a large, microwave safe bowl and heat in 30 second increments, until melted. Need some help navigating your health and wellness? 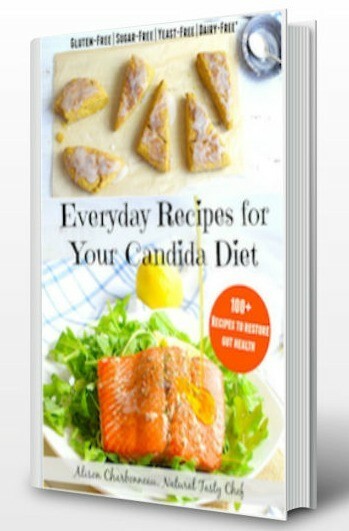 Check out my Health and Diet Coaching. Book your FREE complimentary 30-minute session HERE today! 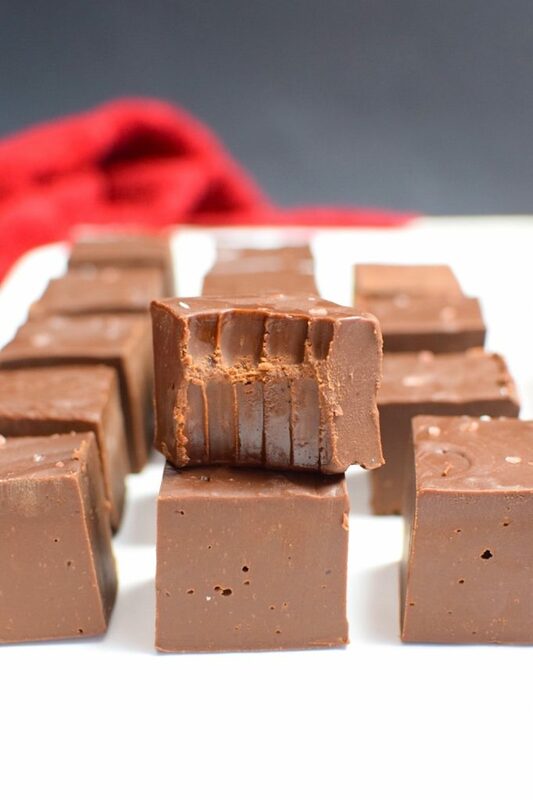 Would it ruin the texture of this recipe if I added a vegan dark chocolate bar to add to the richness? 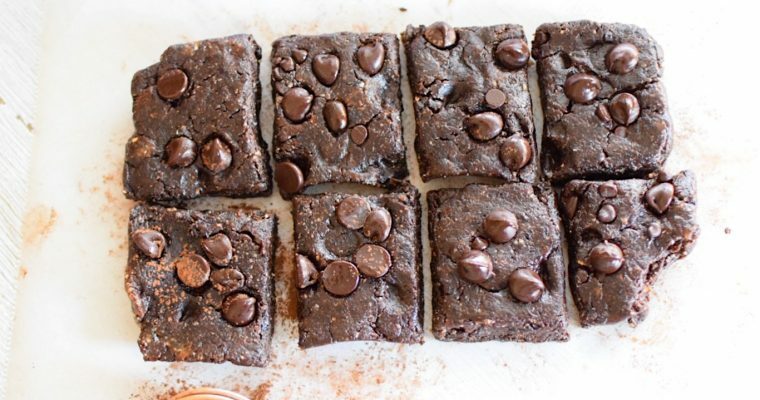 No, you could sub a vegan chocolate bar in place of the chocolate chips, no problem! 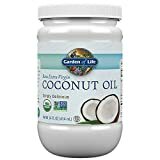 Another thing is it necessary to use coconut oil, or could it be replaced with vegan butter? I made this recipe tonight, replacing 1/2 cup of the chocolate chips with dark chocolate, and using Pink Himalayan salt instead of sea salt because I was out. Plus I added a teaspoon of vanilla extract. Turned out rich and delicious, but I would probably allow it to freeze in my freezer for another half hour. Thank you for this recipe. Yum! Sounds divine!! Glad you enjoyed them 🙂 My friend also adds walnuts occasionally! Added a splash of vanilla extract and caramel syrup. So delicious! This looks great and I am interested in making for a vegan bake sale.Once set in the freezer would does it hold up at room temperature? 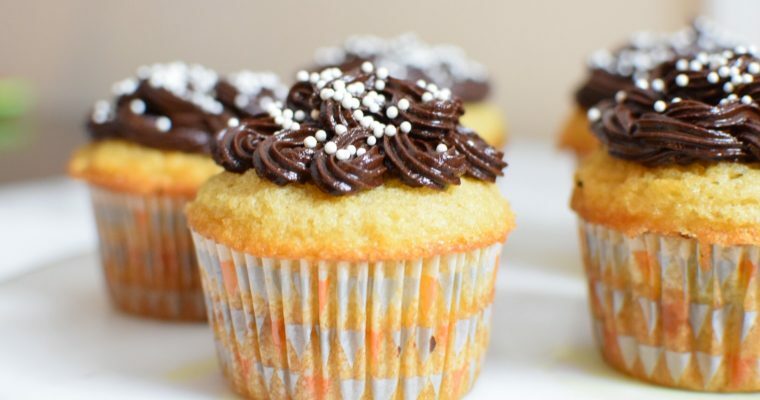 These are best when stored in the fridge or freezer, but depending on where you’re located they may be okay. If the outside temp is 60’s or 70’s, i believe they’ll be okay. They wont melt or spread, they just wont be as firm. Condensed coconut milk is not available in my area only pure condensed milk. Can obtain the coconut milk separately. How much should I use . Okay, so as long as you’re using condensed milk of some sort (regular milk will contain too much water) the amount would be 320 grams or 11.25 ounces. Just shy of 1 and 1/2 cups! Hi, if you were wanting to sub coconut milk for sweetened condensed coconut milk, it won’t work. You could try: https://www.biggerbolderbaking.com/how-to-make-dairy-free-condensed-milk/ to make your own substitute. I’m not vegan, but was looking at this so I could make for my sil. Could I use sweetened condensed SOY milk instead of condensed coconut milk? That’s what my local stores have. Looks sooo good! How much is 2 cups in grams? I am really looking forward to trying this recipe, I just dont want to mess it up. looks like about 350 grams. I hope you love it!